Not all blasters can be winners. Take, for instance, the Talon. It has several things going for it. A unique color scheme, official Boy Scouts of America branding, and a rather cartoonish take on “real steel” for its shell. 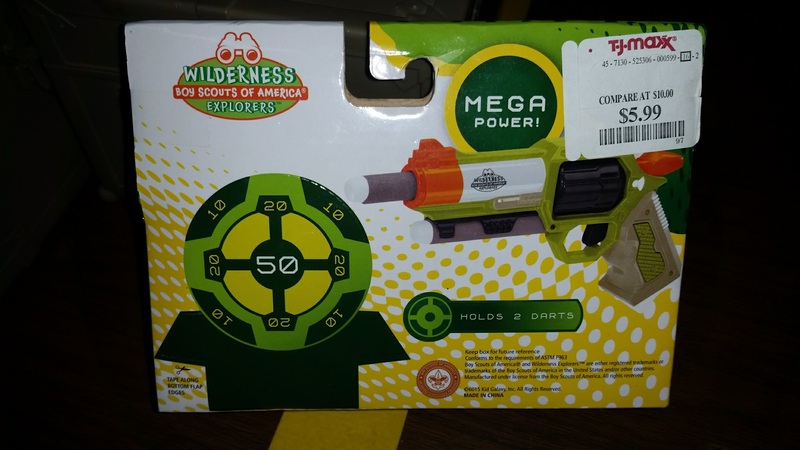 What it lacks is the MEGA POWER it claims on the box. 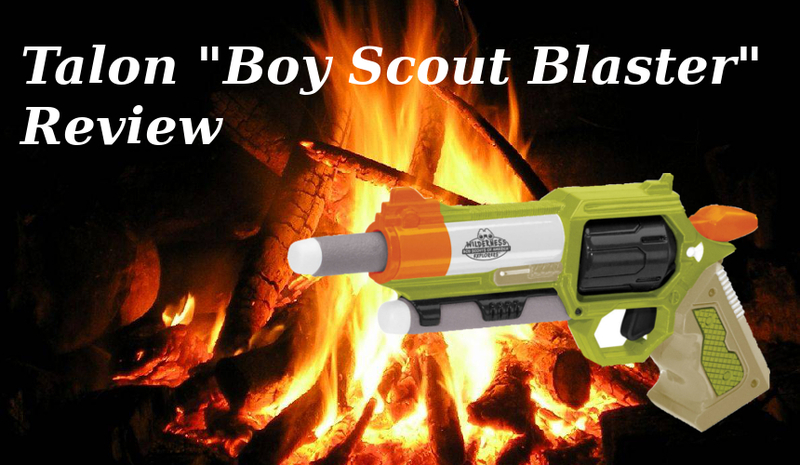 Needless to say, if you don’t care about the Boy Scout branding, there’s not much reason to buy this blaster. 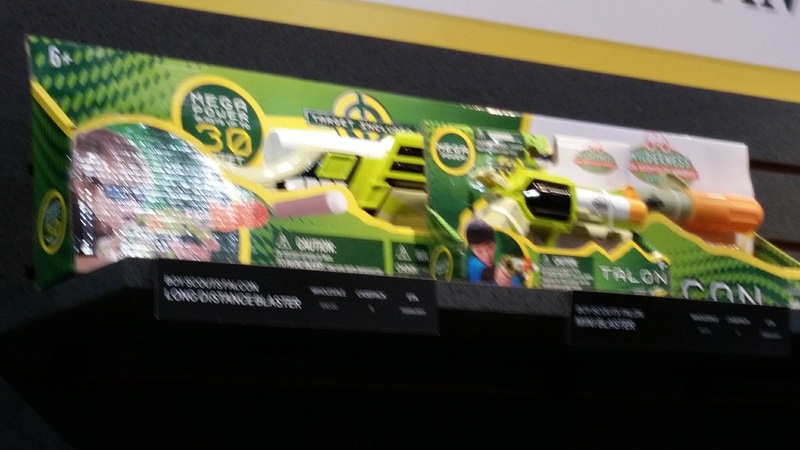 I should note that I saw this blaster at Toy Fair 2017, where it was featured in the Kid Galaxy booth. It didn’t improve between then and now. Weighing barely two ounces, the Talon is clearly designed with tiny hands in mine. I have smaller hands, and even I had a hard time wrapping just two fingers around the grip. In addition, the trigger guard is TINY, leaving just enough space for the tip of your finger to pull the trigger. That being said, the priming handle is fairly tough to pull. The spring is strong, and there are two tiny tabs on either side of the handle you have to use. There is storage for an extra dart underneath the barrel. Performance was wildly inconsistent. While all darts fired, the distances achieved were far from spectacular, with some barely reaching the fifteen feet from my couch to my door. On the chronograph, not a single shot made it above 40fps. I want to list 30fps as the average, but with the caveat that you can see results vary wildly. It’s Got Guts. Just Not A Lot. After removing just six screws, you can see why this blaster performs so poorly. The plunger tube is barely the diameter of a dart! In addition, the cup seal on the plunger will sometimes fully engage, and other times not work at all. While the barrel is fairly loose fitting on darts, replacing it does little good. There’s simply not enough air to handle any sort of extra friction. 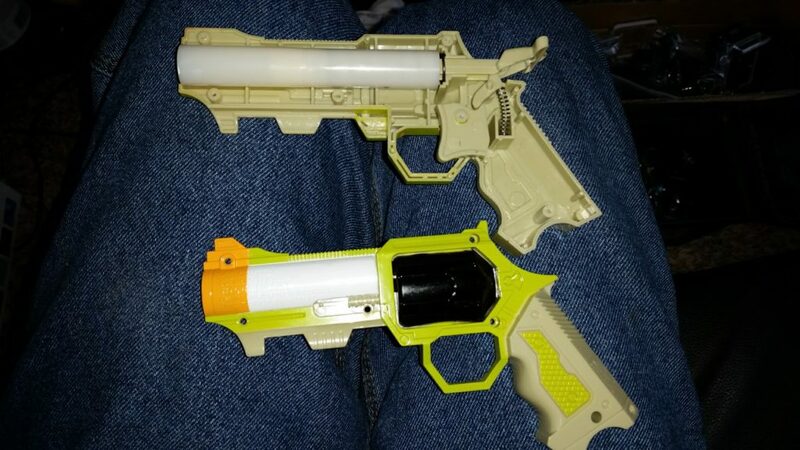 This really is a blaster that has no business existing, especially when things like the Jolt work so much better. Don’t Buy This. No, Really. This blaster is a novelty item, plain and simple. Even if you’re a collector of Boy Scout items, you should stay away from this. Period. This entry was posted in Dart Blasters, Reviews and tagged 2017, review, toy fair on July 3, 2017 by BuffdaddyNerf.